Our stay in Raleigh, NC was our first experience with “Work Kamping.” North Carolina has a policy that you can stay in a state park for only 14 days and then you have to be out of the parks for 14 days before you can return. We wanted to spend more than two weeks in the area so we could spend more time with our daughter, Elisabeth, so we applied to be a Camp Host in the Holly Point Campground of the Falls Lake State Recreation Area. After exchanging a few emails with the Park Ranger we were accepted. The Recreation Area was created by an Army Corps of Engineers flood damage reduction project. The Corps constructed an earthen dam on the Falls River to hold back water during times of high water, reducing the probability of flooding. This created a reservoir around which they developed boat launch ramps and campgrounds for public recreation. The State of North Carolina operates the campground under a long-term lease from the Corps of Engineers. Falls Lake has lots of fingers providing good fishing sites and nice places to explore from canoes and kayaks. 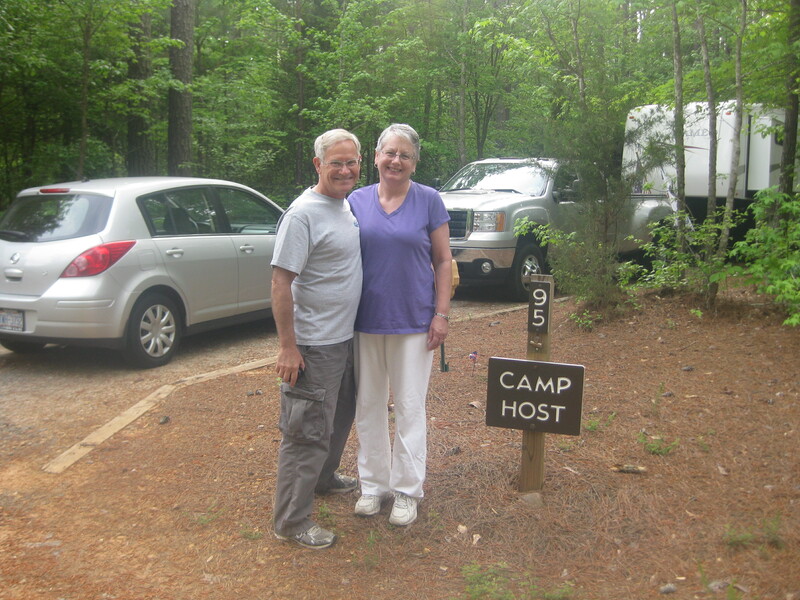 We arrived in the campground on March 30th. The loop we would be responsible for would not open until April 1st, so we had the place to ourselves for a couple of days. Holly Point is a wonderful campground. The sites are spread out with plenty of trees and brush between each site, so you have lots of privacy. When we arrived in early spring, the forest was very bare, but by the time we left, the forest was lush with fully leaved trees. It was just a beautiful setting. 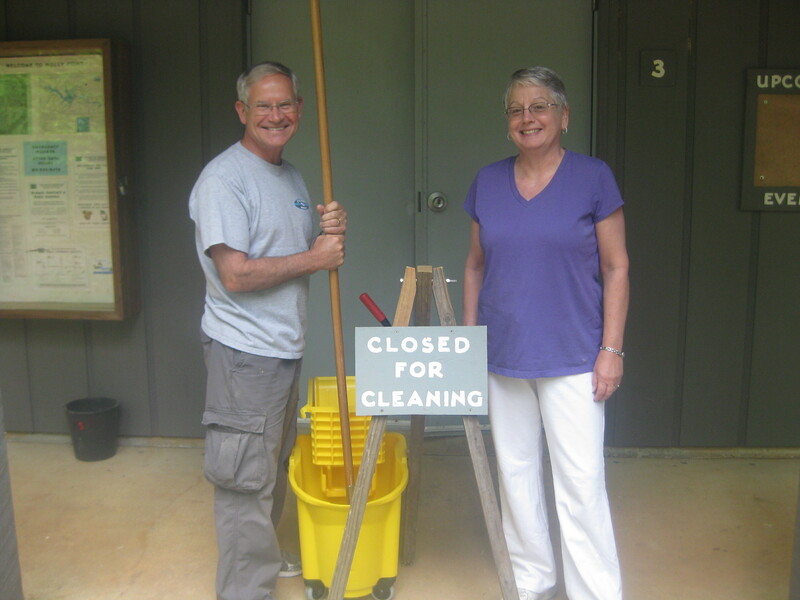 Our position as Camp Hosts called for us to provide assistance to other campers, be role models for campers in our loops, and clean the bathrooms and showers. The last job was not the most fun, but not an unpleasant duty. We were required to be in the campground most evenings, especially on the weekends, and we had Wednesday and Thursday off every week. It was interesting to be part of the staff of the campground. It certainly gave us a greater sense of community than I had experienced in other campgrounds. Our fulltime RV lifestyle allows us to visit our kids for extended periods without being a burden. I always tell Elisabeth to have a list of things she wants done to her house when we are in town and she normally takes me up on the offer. This trip I helped her by installing a new range and microwave. Her old microwave was a lot smaller then the new one so I had to replace her old cabinet with a new shelf. 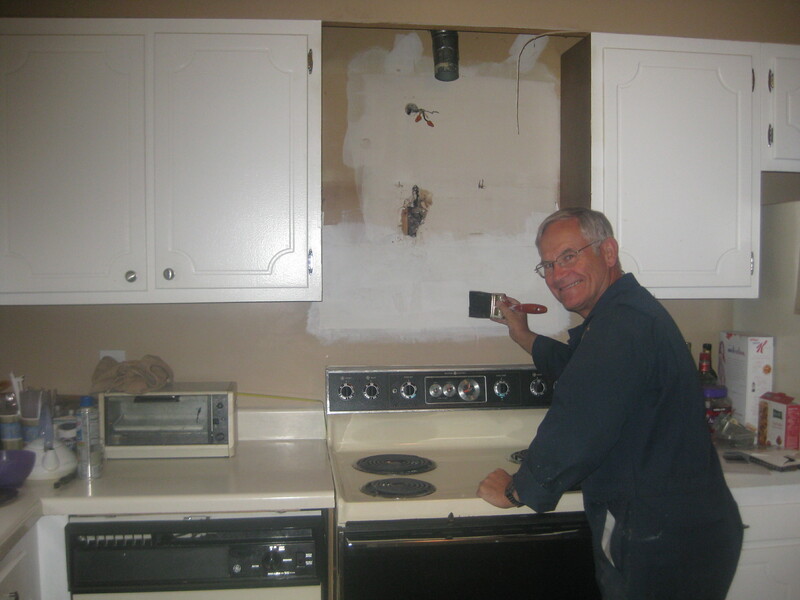 Having done little work with cabinets, it was a learning experience and took longer than expected, but with a good result and it was a lot of fun. Our stories of SCUBA diving in Bonaire encouraged Elisabeth to take a SCUBA diving class and I was able to accompany her on her open water check out dives at a local quarry called Fantasy Lake. 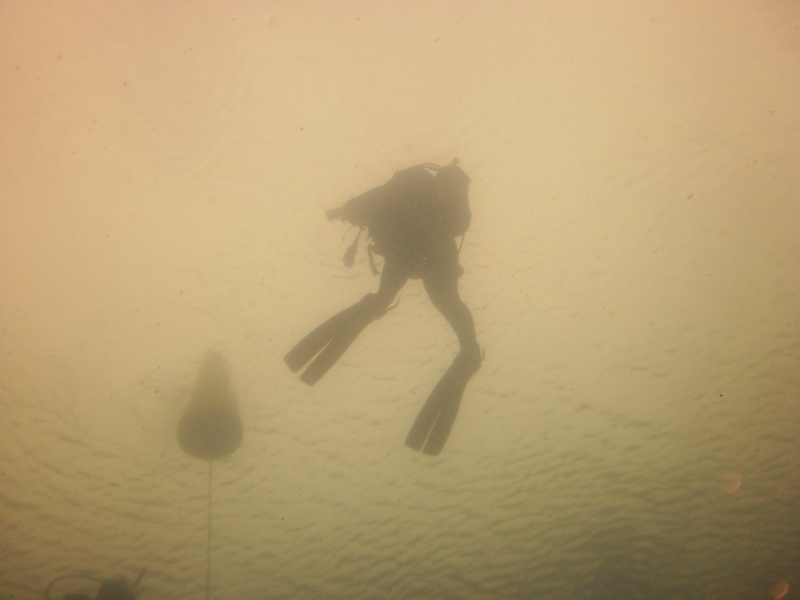 This is an abandoned rock quarry that has been developed into a favorite site of SCUBA divers. In 1950 the 52-acre quarry was abandoned when a massive spring began to fill the 90-foot depth. The flooding was so rapid that the owners were unable to remove the large rock-crushing machine located in the quarry today. In 1980, Doye Sherrill purchased the quarry and the surrounding 100 acres. 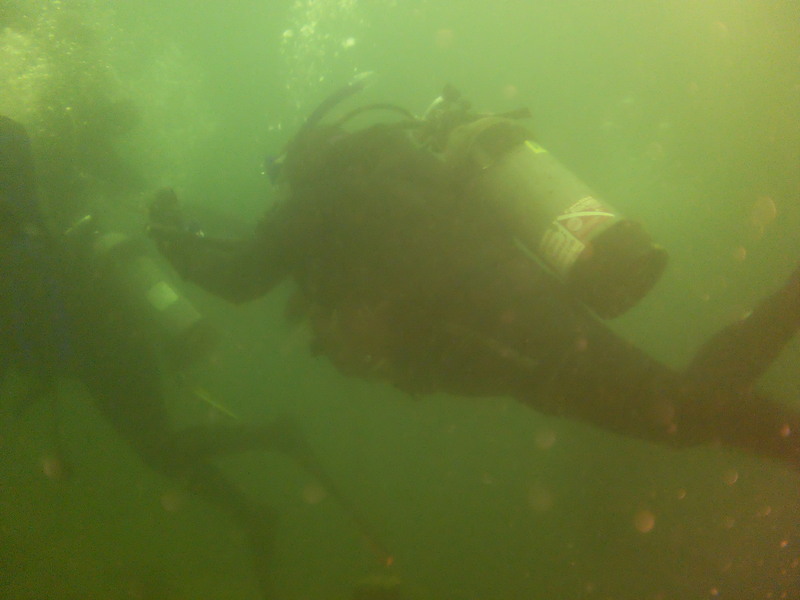 Over the years he converted the abandoned quarry into a unique scuba diving recreational and training park. 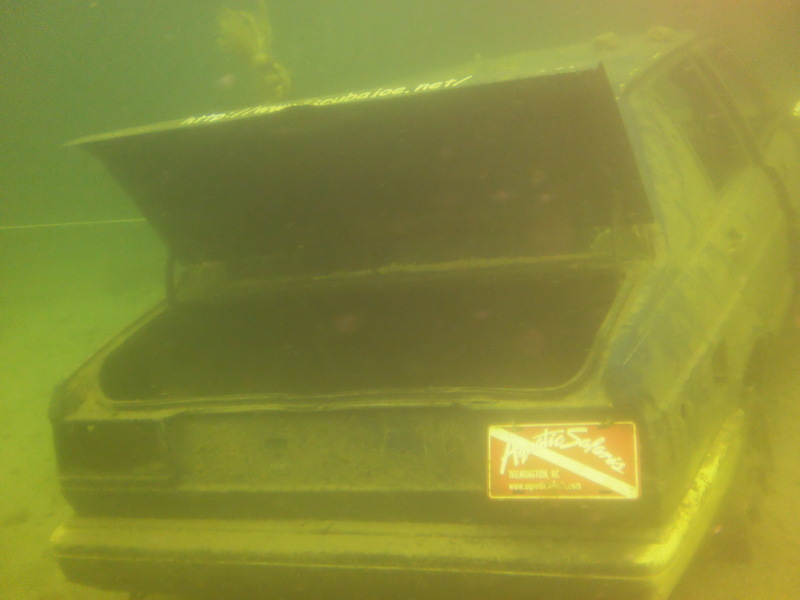 The water is generally clear and there are plenty of underwater attractions, such as an old VW bug, a twin engine plane, and a bus. 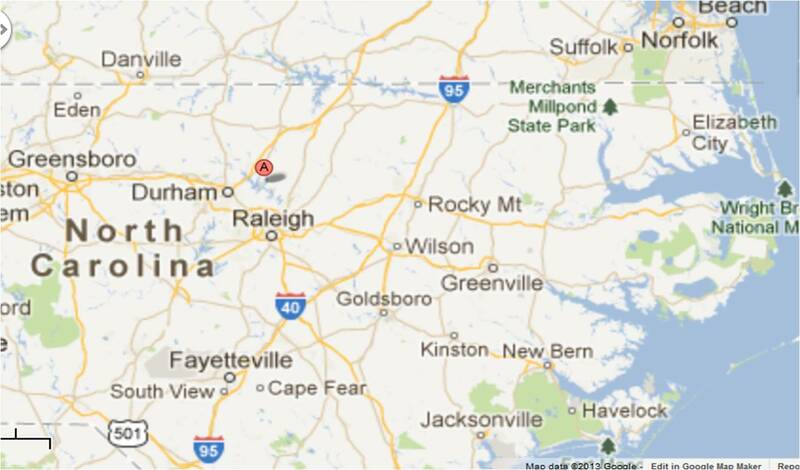 It is a great place to dive and only a short drive from Raleigh. However, in early spring the water is quite cold (500!) and we had to wear full wetsuits with hood and gloves. By the time you have all of your gear on, you feel like a stuffed sausage and look like a black Pillsbury Doughboy! Our last few days were spent cleaning and packing. Elisabeth took us out to an Irish pub named The Hiberian for my birthday and we took her to Fridays to celebrate her SCUBA certification. On May 6th we left Falls Lake. We originally planned to stop at a National Forest campground near Wytheville, VA to do some hiking on the Appalachian Trail, but it was raining so hard that we decided to bypass that opportunity and headed to the Summersville Lake Army Corps of Engineer campground. 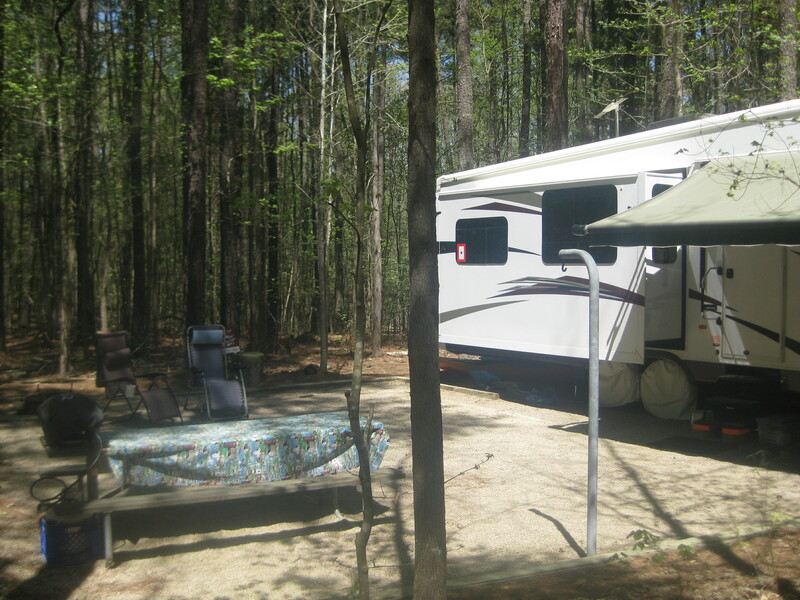 This entry was posted in Fulltime RV, Michigan Traveler, North Carolina, Working on the Road and tagged Camp Host, Falls Lake State Recreation Area, fifth wheel trailer, full-time RV, fulltime RV, Holly Point Campground, Kayaking, RV Forums, SCUBA diving, Work Kamping. Bookmark the permalink. Sounds like you are having a very wonderful time, leaving a trail others can follow and learn from through your blog. Our restaurant is 15 minutes from Lake Jordan which has at least six campgrounds, and is a very popular spot. We hear that getting Camp Host positions is competitive just because of the wish to stay in a place longer than 14 days. If you come back to the greater Raleigh area, we hope you’ll visit Historic Downtown Pittsboro. Great arts and crafts, music, antiques and dining. We are having a great time and use this blog to share our experiences with others. We’ll be back at Falls Lake in October and we’ll have to stop by!